This month Springbok Casino pays tribute to the extraordinary Whales of South Africa in a collection of videos and stories. The videos will take you from Doringbaai at the Cape West Coast, around the Cape Peninsula and up the East Coast as far as St Lucia. Following the deep-sea theme, Springbok's free spins bonus in March is 25 free spins on Megaquarium, a colourful game where you can have some fun with smaller sea creatures – and win whale-size pay-outs during free spins with up to 100X win multiplier. South Africa's oceans are home to quite a variety of whales. 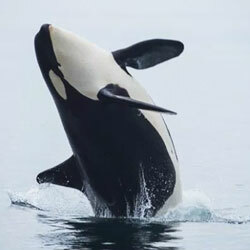 The collection of videos on the casino's website features the Blue Whale, Sperm Whale, Orca Whale and the Bryde's Whale. One video explains why the Humpback Whale is known as a "singing showman" and in another a photographer relates a magical experience he had with very large but very social Southern Right Whales at Mossel Bay. "When you think of South African wildlife, lions and giraffes come to mind… and of course springboks," said Springbok Casino's manager, Daniel van Wyck. "But some of our most magnificent wildlife is in the oceans around us!" Megaquarium is available online for desktop and laptop computers and on smartphones and tablets through the casino's free Android App. All the real money online casino games at Springbok Casino are from Realtime Gaming and they're all played in Rands. Customer service is provided in both Afrikaans or English.